could your DevOps pipeline use a leap forward? Are you looking to accelerate your software development and release cycle, gain trust in your builds, or reduce the complexity of dealing with multiple package managers? IDC names JFrog as DevOps Acceleration Innovator and recognizes Artifactory as a scalable, universal binary repository manager that automatically manages your artifacts and dependencies through the application development and delivery process. 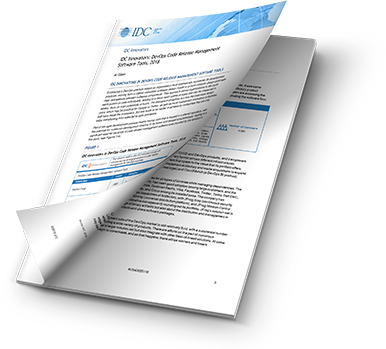 Download the IDC report to learn why two-thirds of Fortune 500 companies trust JFrog’s Universal Binary Repository to facilitate a rapid, secure and collaborative development process.